Executives need to prioritise serving a social purpose if they want to achieve stronger and more sustainable profits, according to Alex Edmans, Professor of Finance at London Business School. Professor Edmans was speaking as part of a series of talks on ‘Purposeful Business’ for Gresham College which delivers free lectures to the general public. He argued that the value a business creates extends well beyond the profits it generates. Professor Edmans likens the whole impact of a business to a pie – of which profits for investors are just one, albeit important, slice. Professor Edmans, who is also Mercers School Memorial Professor of Business at Gresham College, argued that a company’s value to society should be measured holistically to include stakeholders such as - workers, customers, suppliers, the environment and the government through taxes. Too many executives, he said, take from stakeholders’ slice in order to give a portion to investors. They view their business as a fixed zero-sum game. With that mentality, if you want to grow your slice you have to take it from other parts of business. A prime example of this kind of business was Turing Pharmaceuticals, which bought existing drugs, restricted supply and jacked up prices. For Turing it was all about the profit slice, which it pursued with gratuitous price-gouging, taking the price of Daraprim from US$13.5 to $750 (£10.3 to £575) per pill. “Unfortunately, some companies have the pie-splitting mentality, which is why there’s a serious crisis of public trust in business,” said Professor Edmans. “Companies can grow the pie by investing in all the stakeholders – improving working conditions, pioneering new products for customers, or reducing their environmental footprint. Profits then rise as a by-product of growing the pie. The importance of growing the pie in turn implies that the most serious mistakes are errors of omission (failing to take a good action that will grow the pie) rather than commission (taking a bad action). A company that pollutes or engages in a share buyback is often seen as irresponsible. But in Professor Edmans’ vision the most irresponsible behaviour a business can indulge in is maintaining the status quo and failing to innovate – such as Kodak. The company’s failure was in omission not commissions: it stuck to producing film and was slow to move into digital cameras. It failed its shareholders by struggling to make a profit, and it also let down stakeholders – workers lost their jobs, and customer demand for digital cameras wasn’t satisfied. Instead, Professor Edmans argued, the best way to increase investors’ share is to grow the pie by creating value for not only them but also stakeholders. The most responsible action that a company can undertake may not be to cut CEO pay, but to take risks and innovate – such as Vodafone launching M-Pesa, the mobile money service. M-Pesa was a service that enabled mobile customers in Kenya and Tanzania to transfer money using mobiles. Kenya and Tanzania were not huge markets nor obviously profitable, but the social need for the service was great. However, through M-Pesa, Vodafone has grown its reputation in what are now fast-growing frontier markets. Similarly, pharmaceutical giant Merck’s decision to give away the cure to river blindness was not profitable, but the move has done much to enhance the company’s reputation and attract key talent. 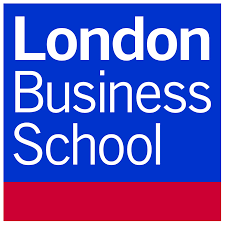 More broadly, Professor Edmans’s TEDxLBS talk, ‘The Social Responsibility of Business’, discusses the large-scale evidence that companies that treat employees, customers and the environment well also deliver high long-term returns to investors. Professor Edmans recognised that even a pie-splitting profit-focused manager will invest in stakeholders, because he or she will recognise that it’s necessary to, say, train workers to become more profitable. But he’ll only invest if the expected profits outweigh the cost. Calculating the future payoff is particularly difficult in modern business where many outcomes are unprofitable, Professor Edmans observed. Freeing a company from the constant need to justify an investment through profit forecasts will, surprisingly, enable it to become more profitable because it invests more. “To be a successful business, you are going to need to do things which your competitors aren’t doing, making investments your competitors aren’t making… making investments which can’t be justified by a mathematical calculation,” advised Professor Edmans. In order to create a pie-growing business, he set out a three-step agenda, which he will explore in greater detail in the next three lectures. The first step is to reform executive pay to ensure that managers are only rewarded for long-term performance rather than for hitting financial targets. The second step is to revolutionise governance by embedding purpose more strongly into companies. The third is for the entire investment management industry (asset managers, asset owners, proxy advisors and investment consultants) to take their stewardship responsibilities more seriously. The next lecture in Professor Edmans’ Purposeful Business series on 12 December will look at executive pay in more detail. The subsequent talk will cover reforming corporate governance, with the third lecture exploring the stewardship role of investors. The final two lectures in the series are on the role of the financial services industry in society, and whether mergers and acquisitions create value. Full details of the series are on the Gresham College website. Gresham College dates back to 1597 when Sir Thomas Gresham left provision in his will to deliver free lectures in London. Today, the college appoints 10 professors and 10 visiting professors who, with invited academics, deliver 130 lectures annually.